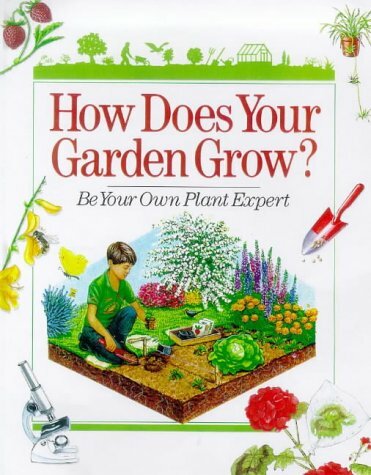 "This ambitious book...includes descriptions of the composition and survival of plants, botany experiments, and gardening projects and advice. The busy, full-color format is full of boxes and sidebars...and experiments that explain processes and results..."-- "SLJ. 48 pages (all in color), 7 1/2 x 9 1/2. An exploration of the world of gardening. It aims to teach the child about vegetables, flowers and trees, and show how to make a plant laboratory and conduct experiments, such as: making an earthworm farm in a bottle; watching a carrot drink out of a glass; and seeing how water affects growth.